The LDV T60. You might recognise the name LDV from the British commercial vehicle manufacturer of days past that was originally part of British Leyland. These days, they’re owned by the Chinese. They still make mostly vans, but they just introduced the small T60 pickup. 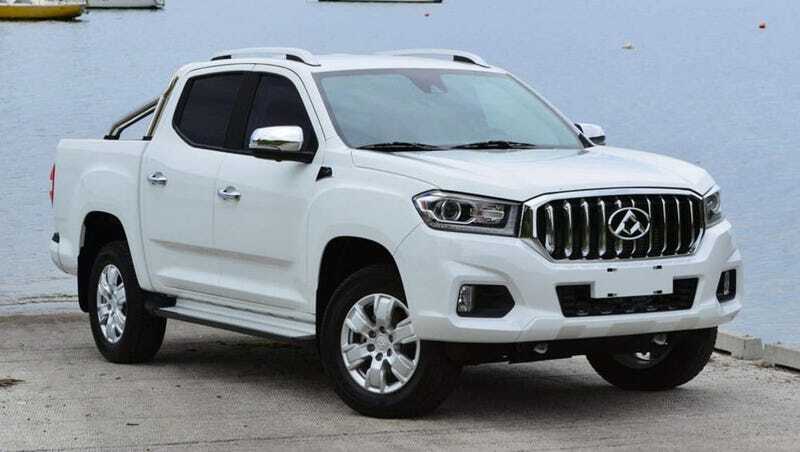 It’s aimed squarely at trucks like the Great Wall (or GWM if you’re a Seeth Efrikan) Steed, the Foton Tunland, and more contemporary non-Chinese trucks like the Hilux, Colorado, and Ranger. The interior is astonishingly smart too. Very Ford-ish in a way, but not nearly as ugly as any modern Ford interior. Gone are the days when the Chinese made their interiors out of chewed gum and well wishes. There’s also the D90 SUV. Seems to compete with stuff like the Everest and Trailblazer. I like it too, but the T60 is more appealing to me simply because I like a good, simple, pickup. Damn you Australia for getting all the interesting cars.